When was the last time a New Yorker died from a water borne disease that came from their tap? Before New York City had aqueducts to deliver clean water from the distant countryside, people in crowded neighborhoods sometimes suffered from serious illness when water wells were occasionally polluted. Many city dwellers feared the threat of deadly epidemics that periodically spread through dense tenement communities. The Aqueduct Education Project offers hands-on student tours and programs at three different historic sites in the Old Croton Aqueduct Historic State Park. The Old Croton Aqueduct (1842) was the first piece of a massive water supply system that took almost two centuries to build. These field trip experiences explore why this system is possible and how it came to be. 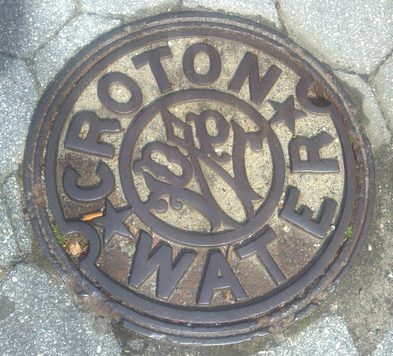 We explore the story of the Old Croton Aqueduct and the greater water supply system. This story shows us that sometimes hope, perseverance, skill, human muscle, grit, and collective problem solving can, over time, help us to manage some of society’s most complex problems. These field trip experiences also help us to think about why some people don’t have reliable access to clean water and what work still needs to be done as we think about water and health in the 21st century.